When it comes to your design, the devil is in the details. Plex.Earth 4 allows you to export even the most complex 3D models to Google Earth and visualize materials like bricks and textures. 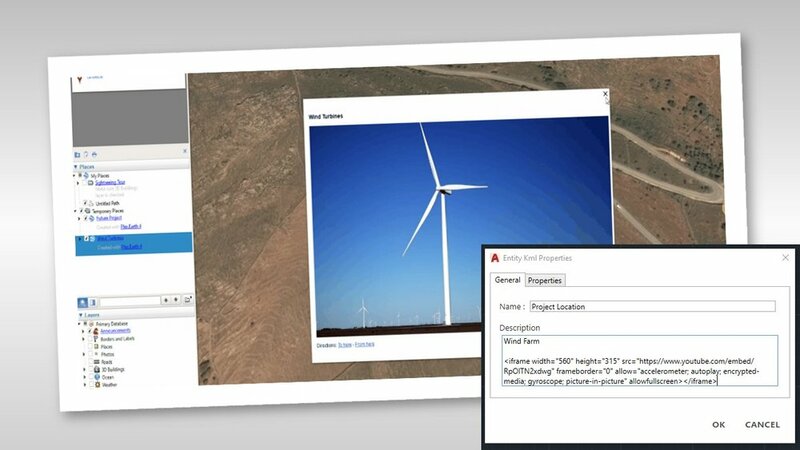 You can even add object data to your elements (both as plain text and in an HTML format), which can then be exported to Google Earth with your AutoCAD drawing. This way you can share information with your colleagues, customers, anyone you want, let everyone understand your designs and take instant feedback, keeping your project on time and on budget. We’ve put together a detailed tutorial on how to do this in a few simple steps with Plex.Earth 4. Read it here and start your free trial today! Do you want to assign lineweights to the polylines that you export to Google Earth, as KML/KMZ files? Normally, when you publish elements, they attach to Google Earth in only one size by default (1 Google Earth unit) and they do not change when zooming in or out. Plex.Earth 4 allows you to define lineweights to your drawings choosing from constant width, multiplier and physical scale. Read our detailed tutorial for more and start your free trial today! Most 3D printing professionals, like Aristeidis Loukrizis (read his story here) have to visualize the surrounding environment and represent the terrain morphology of a project area to reproduce it in their final 3D printed models - a process that is time-consuming and prone to errors. However, they can overcome these difficulties and create the desired 3D printed models with Plex.Earth, easily and quickly. We’ve prepared a detailed tutorial to guide you step by step on how to create a 3D solid object from your imported terrain with Plex.Earth, before exporting it as an .stl file which is proper for 3D printing. Read it through and stay tuned for more technical resources and tutorials. You can also unlock Plex.Earth’s 4 powerful capabilities by starting your free trial today! Is your AutoCAD drawing file size too large because it contains big mosaics? Nikos Chanakoulas from our technical support team explains in a detailed tutorial, how you can set the JPG quality to the desired level to decrease the file size. The difference can be very subtle in imagery clarity and you can work with smaller files, taking not much space on your hard drive! Transoft Solutions Inc., a global leader in transportation engineering design and analysis software, has partnered with Plexscape, developers of Plex.Earth®, one of the most popular tools for AutoCAD for the acceleration of architectural, engineering and construction (AEC) projects. Central to the partnership was integrating AutoTURN® technology with Plex.Earth to allow engineers and designers to demonstrate vehicle swept path analyses directly into Google Earth enabling them to create and share engaging presentations and reduce revisions and overall cost. “Civil engineering is about making the world a better place and here at Plexscape we are committed to help engineers by always giving them the most accurate real-world view of their project sites”, said Mr. Lambros Kaliakatsos, Founder & CEO of Plexscape. “For 9 years now, Plex.Earth, our flagship solution, enables them to have instant access to high-quality satellite imagery and terrain morphology data. We strongly believe that our partnership with Transoft Solutions, a company that has changed the way the future of transportation is being designed, will help AEC professionals make design decisions with more confidence and keep their projects on time and on budget". This statement is fully aligned with Transoft’s mission to provide solutions that allow its customers to design with the utmost confidence. “Plex Earth is a perfect addition to AutoTURN Pro. In our partnership with Plex.Earth we made sure that our massive 3D vehicle content is displayed well in Google Earth” says Alexander Brozek, Vice President & General Manager of Transoft Solutions EMEA. Engineers can easily demonstrate their performed swept path analysis for impressive and self-explaining presentations or running quick checks in the conceptional phase of a project. It was our pleasure to work with Plexscape on a project which makes the real capabilities of AutoTURN Pro to stand out." Transoft Solutions develops innovative and highly specialized software for aviation, civil infrastructure, and transportation professionals. Since 1991, Transoft has remained focused on safety-oriented solutions that enable transportation professionals to design with the utmost confidence. Our portfolio of planning, simulation, modeling, and design solutions, are used in over 130 countries serving more than 50,000 customers across local and federal agencies, consulting firms, airport authorities, and ports. We take pride in providing best-in-class customer support from our headquarters in Canada, and through offices in Sweden, the United Kingdom, Netherlands, Australia, Germany, India, Belgium, and China. For more information on Transoft’s range of trusted and field-tested engineering software, visit www.transoftsolutions.com/emea. Plexscape is a software company committed to changing the way engineers work on Architectural, Engineering and Construction (AEC) projects, by developing innovative solutions that bridge the gap between design and the real-world. 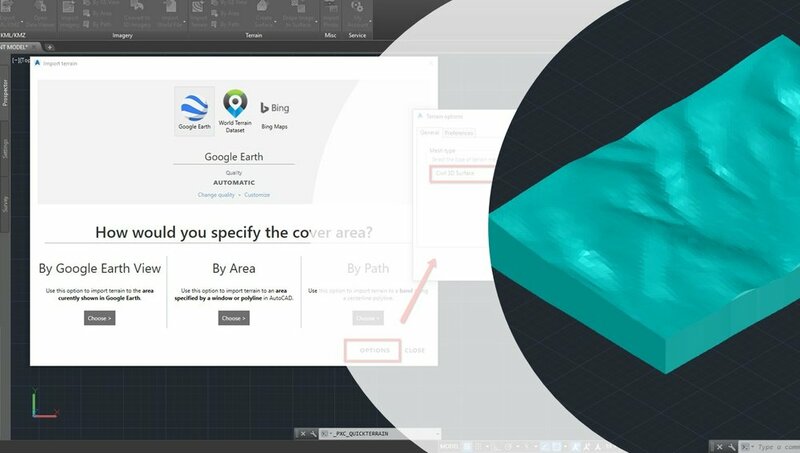 Plex.Earth, our flagship product, is the first cloud-based software ever created in the CAD market and one of the most popular tools in the Autodesk App Store. Our solution, originally released in 2009, is being used by more than 15,000 engineers in over 120 countries worldwide, enabling them to have the complete 3D geographical view of their real-world project sites within minutes, through Google Earth and other satellite data providers. Since the creation of Plex.Earth in 2010, we are always looking for ways to improve customer satisfaction and add real value to the relationship with our users. Thus, we are really excited to announce that Plexscape, is now EN ISO 9001:2015 certified for its quality management system for the scope "Sales and Technical Support of Software Applications". We're proud of this accomplishment, given that it's the second time that we get ISO certified!